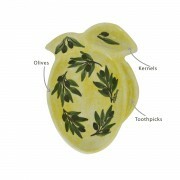 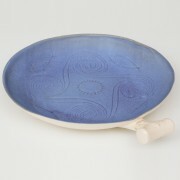 Create one of the most memorable summer table-settings with just one piece: this large serving platter. 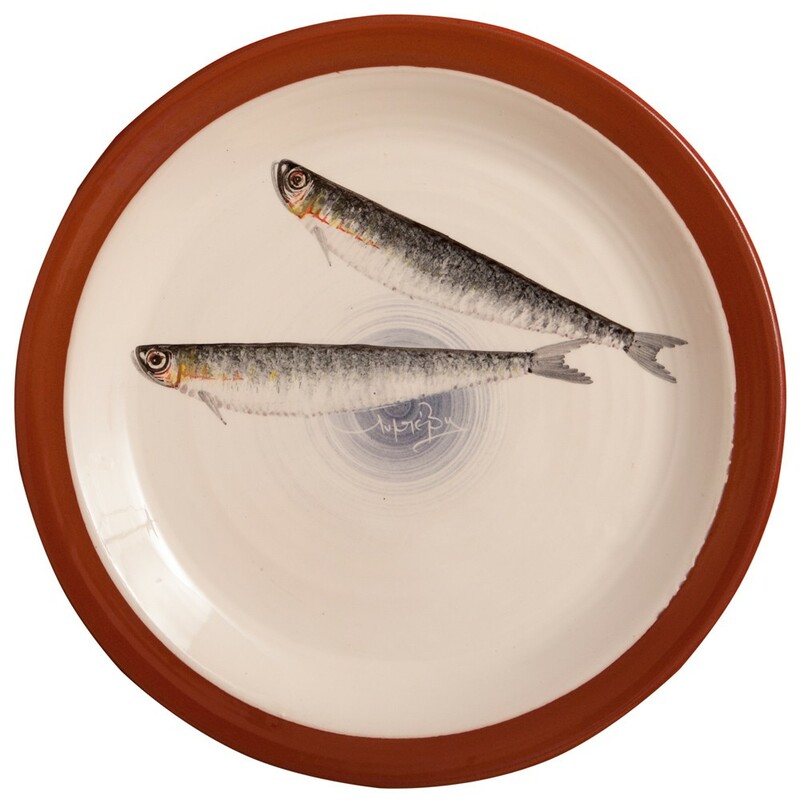 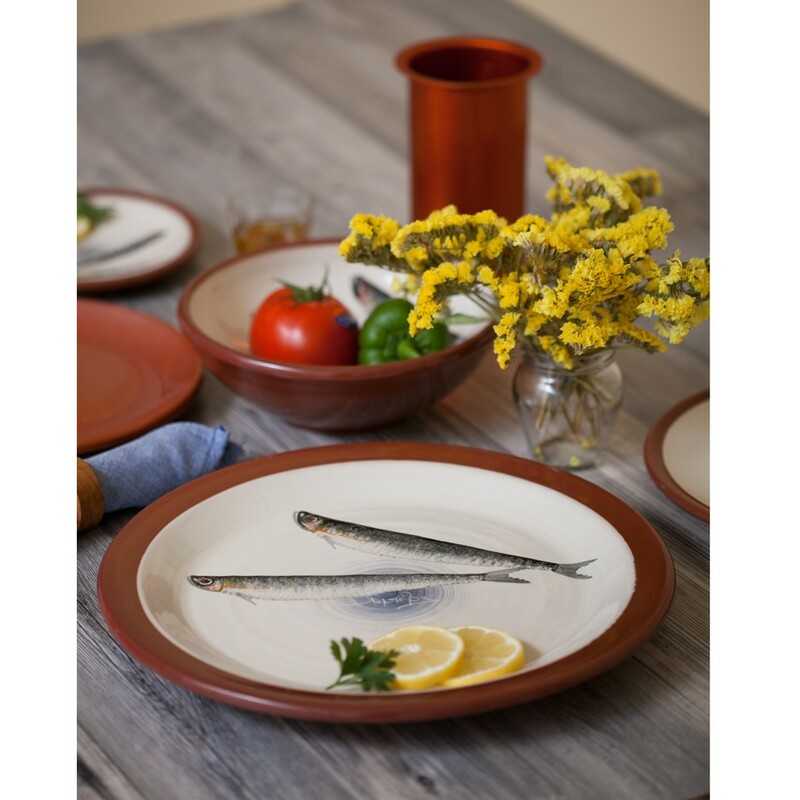 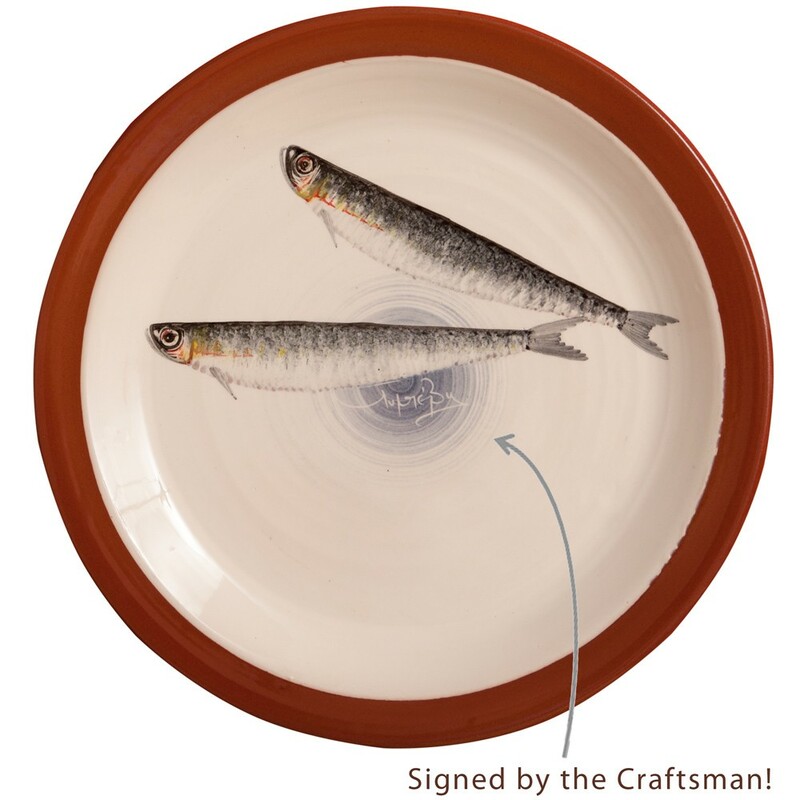 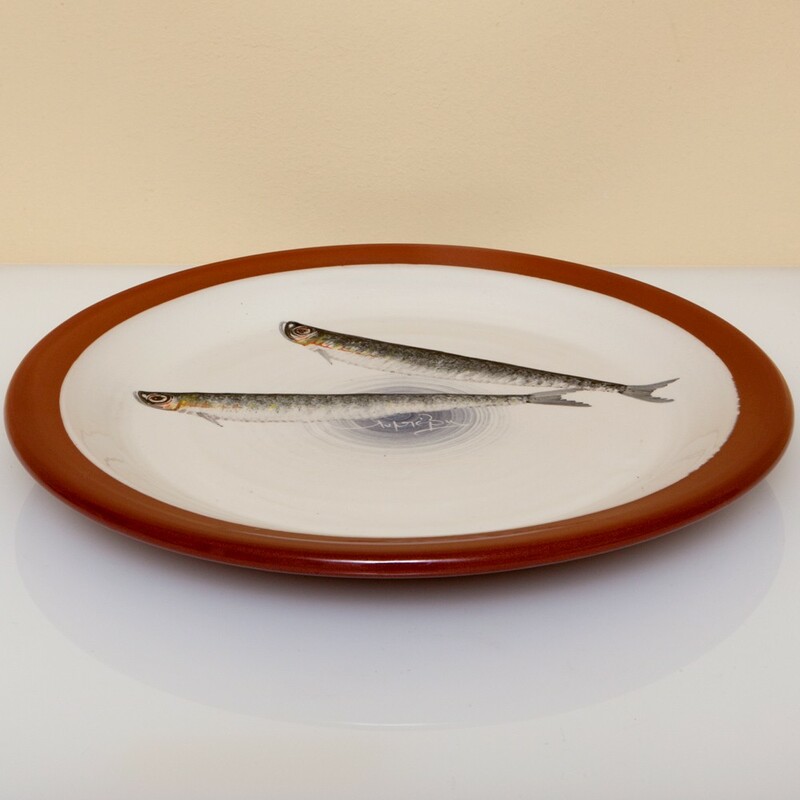 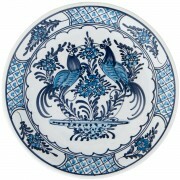 This gorgeous ceramic platter, with the detailed sardines and the blue circle that showcases the natural wheel-thrown clay circles, is an impressive centerpiece that sets the coastal tone. 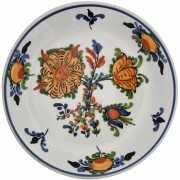 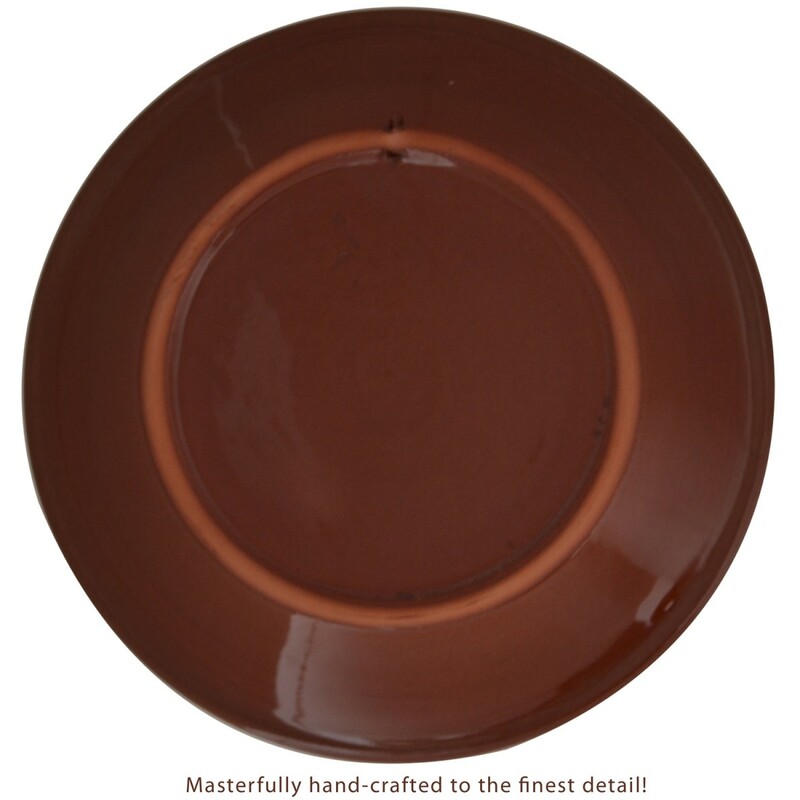 Fine red clay is masterfully wheel thrown into this chic shape and on top artistically hand painted.